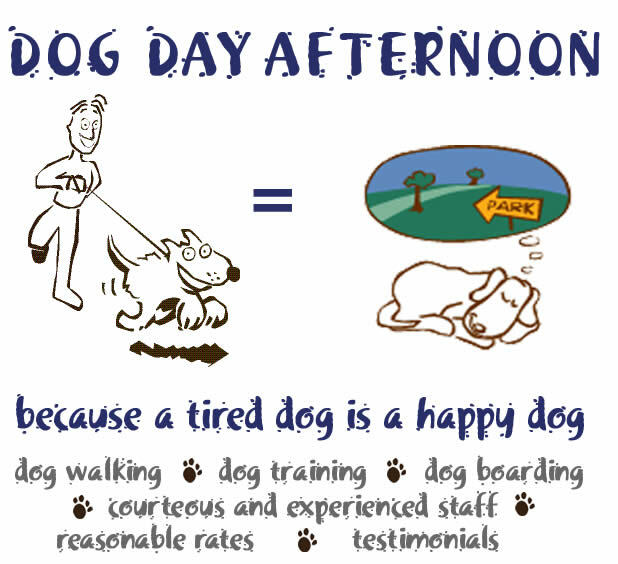 Dog Day Afternoon offers dog walking and training services for dogs in Chicago (Logan Square, Palmer Square, Bucktown, Wicker Park, Ukranian Village, East Village, Roscoe Village, Lakeview/Wrigleyville, and Lincoln Park). Dog walks - $15 for a 30 minute walk. We specialize in training dogs with aggression or other behavioral problems. We also provide in-home or on-site dog training. Greg Finlayson is the owner of Dog Day Afternoon. If you need a dog walker in Logan Square, Palmer Square, Bucktown, Wicker Park, Ukranian Village, East Village, Roscoe Village, Lakeview, Wrigleyville, and Lincoln Park, please call!